July and August are going to be exciting months for fans of the Marvel Cinematic Universe. 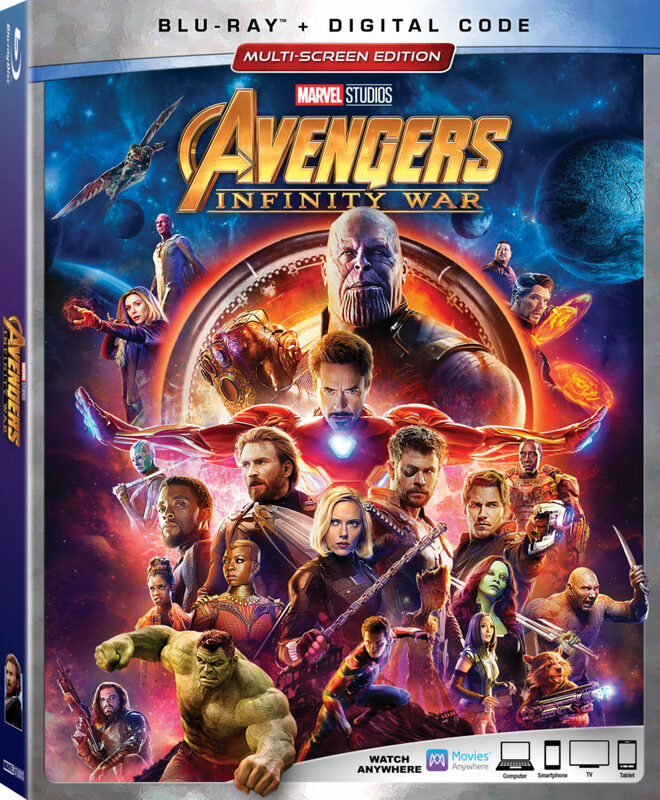 Avengers: Infinity War will be released digitally on June 31 with a Blu-ray release on August 14, 2018. Furthermore, The Avengers and Avengers: Age of Ultron will be released digitally (4K UHD) on July 31 as well. A physical release will follow on August 14, 2018! Avengers: Infinity War went on to become a major blockbuster, surpassing the $2 billion mark at the global box office in only 48 days. It is also, as of yet, the fourth title in the highest-grossing films of all time list. The upcoming home release will offer fans more than two hours of extra content. For those who wish to catch up on their MCU history, select retailers are also offering bundled packaging as well as individual Digital and Physical releases of The Avengers and Avengers: Age of Ultron. Marvel Studios’ Avengers: Infinity War was directed by Emmy award-winning directors Anthony and Joe Russo from an original screenplay by Christopher Markus & Stephen McFeely. Kevin Feige produced the film, with Louis D’Esposito, Victoria Alonso, Michael Grillo, Trinh Tran, Jon Favreau, James Gunn and Stan Lee serving as executive producers. Now, let’s talk about The Avengers and Avengers: Age of Ultron 4K UHD in-home release! They will be available digitally on July 31, 2018, and physically on August 14, 2018. Marvel makes cinematic history as the Super Hero team of a lifetime assemble for the first time ever in this action-packed blockbuster! Packed with spectacular visual effects, Marvel’s The Avengers will blow your mind and now for the first time on 4K Ultra HD! Make sure to read our review of Avengers: Infinity War. A sequel is planned for a May 3, 2019, release.